Designer Tacori is renowned across the globe for blending vintage elegance with contemporary sophistication to create an iconic style adored by fine jewellery connoisseurs. The artisanship and design of Tacori wedding bands for men and women is unmatched. Brides and grooms will find a grand array of styles from elegantly understated to fabulously ornate, and everything in between. Your vows are for a lifetime, shouldn’t your wedding band also stand the test of time? For a wedding band as timeless as your cherished union, shop Tacori. Some things, like vintage elegance and true love, never go out of style. With thirteen collections of vintage and contemporary women’s wedding bands, Tacori is a designer you must not miss. Browse Simply Tacori to find chic and sophisticated styles that offer an enduring elegance that, like your love, is simply timeless. Shop Royalt to discover designs fit for the queen in every bride. 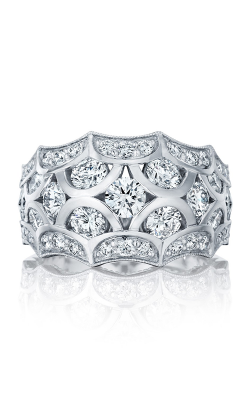 This array offers wedding bands that make a grand gesture of love and a bold statement of style. Petite Crescent delights romantic future brides with divinely delicate designs. The Adoration line features chunky, ornate designs that dazzle with glorious splendor and sparkle. For the bride with flair who stands out in a crowd, this is your collection. To find men’s wedding bands with a sophisticated style and fashionable flair, look no further than Tacori. Less is more in the elegantly understated Simply Tacori, line. For the sophisticated groom who enjoys a refined aesthetic, this collection is for you. Browse Classic Crescent when looking for something out of the ordinary. Blue shining sapphires and unique garnishments adorn these daring designs. 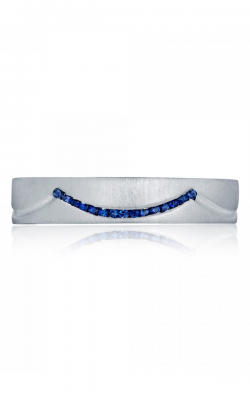 Sculpted Crescent is the most robust collection of men’s wedding bands by Tacori. Vintage, milgrain and filigree scrolling blend with a modern twist that is reminiscent of old world charm, with a chic edge. Intricate ornamentation or sleek polished metals, this collection has it all. Grooms and brides to be have shopped Golden Tree Jewellers since 1980. They trust the Langley, British Columbia area retailers to give them the best selection at the best value, and always put their needs first. Stop by the Willowbrook Shopping Centre showroom to find and browse the Tacori collections in person. Financing is available, so there is no reason to wait to take home your favorite Tacori wedding band. Please call (604)530-7221 with any questions or to let us know how we can help you make this most cherished purchase.